Netflix’s use of the Iron Fist character has been, tonally, a bit all over the place. 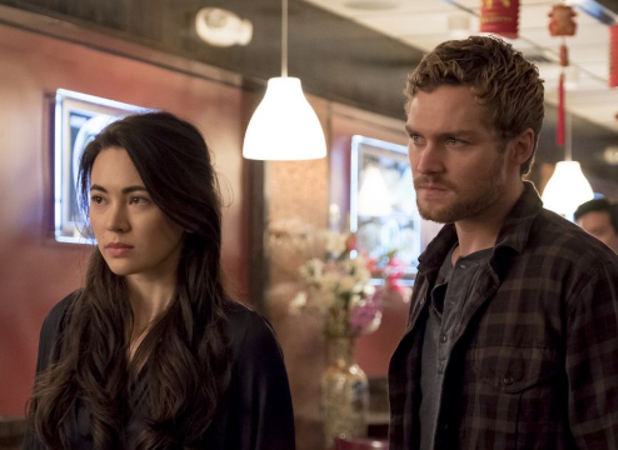 The first half of Iron Fist season 1 introduced us to Danny Rand, the Iron Fist and defender of K’un-Lun, who has returned to New York to reclaim his name and his family’s business. 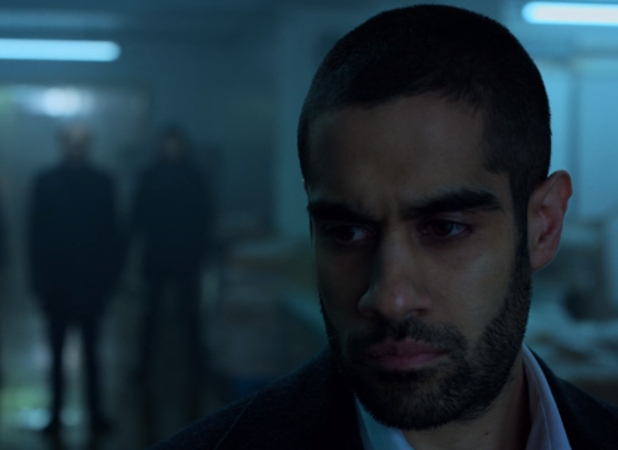 The second half of the season saw Danny trying to get his mojo back and his chi realigned in order to tkae down the sworn enemies of K’un-Lun in New York City. Fast forward to The Defenders, where Danny alternated between being the MacGuffin that brought New York’s street-level vigilantes together and the symbolic damsel in distress. The last time we saw Danny on screen was in Luke Cage season 2 episode 10, where Danny hustled over to Harlem to help Luke find balance in his life. This Danny appeared calm and centered, a departure from the hot-headed and still rough around the edges Iron Fist that we’d experienced up to that point. 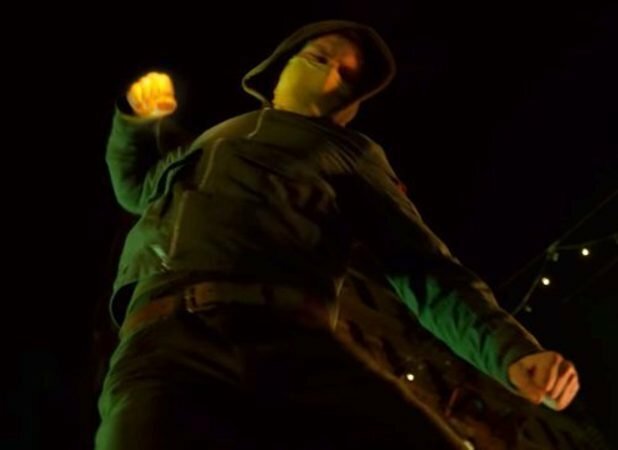 Where does Netflix take the hero in Iron Fist season 2? Let’s find out together. With Daredevil’s disappearance and apparent death at the end of The Defenders, Danny has taken Matt Murdock’s last words to heart and is acting as the city’s protector. We meet up with Danny as he stops an armored truck heist by the Golden Tigers gang. As Colleen later points out, Danny is more violent than in the past, leaving a lot of collateral damage in his wake. Danny reasons it away as his having to rise to the level of the violence that he encounters, but by the episode’s end, we see that Danny still has a secret place all his own that he keeps from Colleen and the world where he can go to light up his fist and punch stuff simply because he likes the rough stuff. Danny learns that with the Hand’s defeat, there is a power vacuum that the various members of the Triad are rushing to fill. The old treaties and boundaries are no longer being respected as each gang looks to increase its wealth, power, and influence throughout Chinatown. Danny knows that a war is coming, and he’s going to be ready for it. Colleen is still dealing with her guilt at having killed her former master in the Hand, Bakuto, in order to save Claire Temple and Misty Knight in The Defenders. She has run away from the violence and vigilantism, finding meaningful work volunteering at the local center where she helps her neighbors apply for citizenship and disburses donations to those in need. While going through a pile of recent donations, Colleen comes across a wooden box with a crest inlaid in the lid. The crest is the same on the guard of her katana. It is the crest of Colleen’s family. Inside the box are a comb and brush, which stirs Colleen’s memories of her mother. In her attempt to learn more about who donated the box and how it came to be at the center where she works, Colleen finds herself swept up alongside Danny in the escalating conflict between the Golden Tigers and the Hatchet Gang, two of the warring triad factions. While Colleen is reminded of her past, Joy Meachum is attempting to forget hers. 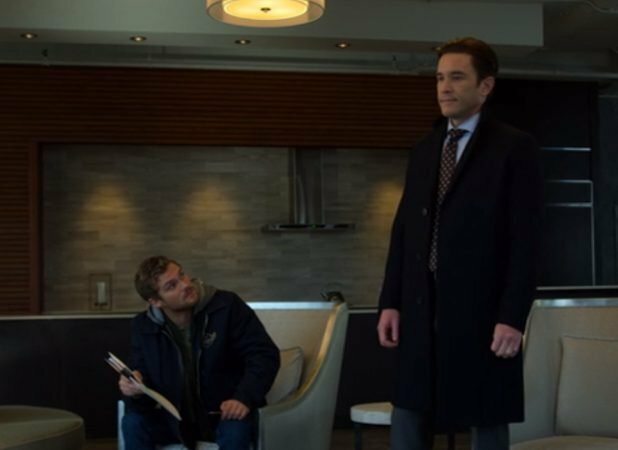 After disappearing at the end of Iron Fist season 1, Joy has returned to New York City and has called a meeting with Danny and her brother Ward at her new apartment. The purpose? To present her proposal that would divest Joy from her stake in Rand Enterprises. What she doesn’t tell the guys is that she has another partnership going on, one that she plans to use to burn away the painful relationships of her past. Ward is predictably furious. He see’s Joy’s proposal as an attack against him, a power play for his job at Rand Enterprises. To Ward’s chagrin, Danny agrees with Joy that she should be allowed to blaze her own trail and signs the proposal. Ward turns to an AA meeting to help him deal with his anger and frustration, but it’s not in the program that he’s searching for solace, but in the supply closet affair with his sponsor. Joy’s partner is none other than Davos, Danny’s former friend and training partner from his time in K’un-Lun. Davos is a zealot on a righteous crusade to take back the birthright that he feels Danny stole from him, the power of the Iron Fist. Davos reveals himself to Danny, asking Danny the hypothetical (for now, at least) question of whether Danny would take it all back and give up the power of the Iron Fist if there was a way to do so. Danny tells Davos that he doesn’t deal in “what ifs” and that he earned the power himself. Danny’s response steels Davos’ resolve to bring Danny’s world crashing down around him. DO NOT LEAVE THE HOUSE. We are also introduced to Mary, a young illustrator from Wisconsin who has moved to the big city. She seems nice and totally normal, until she returns to her apartment. Throughout the place are post it notes with instructions for Mary, seemingly left by some other person. The notes cause Mary to suffer what appears to be a panic attack, which ends with Mary on the bathroom floor, torn between sobbing and laughing. Those are the story beats we’re watching this season. Danny and Colleen caught in the Triad war in Chinatown while Colleen attempts to reconnect with her past. Joy and Davos’ plan to destroy Danny and steal the power of the Iron Fist away from Danny and somehow give it to Davos. Mary’s descent into madness. Ward’s… I’m not sure what we’re going to get from Ward. More selfishness and self-destruction? An attempt to redeem himself or possibly try to redeem Joy? We’ll have to see. I know we’re only 1 episode into the new season, but there already appears to be a marked improvement in production value. The fight choreography is faster and feels more visceral. The story beats move along more fluidly. On a related note, we’re a full episode into the season and there has been nary a Rand Enterprises board room scene to bog things down. What did you think of the second season premiere of Iron Fist? Let us know in the comment section below! 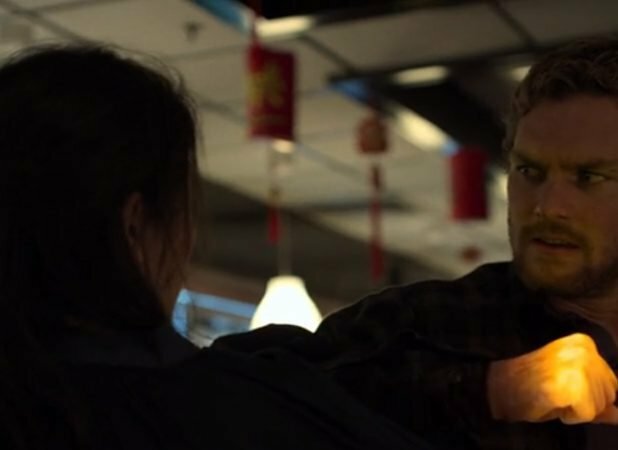 The post Iron Fist Season 2 Episode 1 Recap appeared first on ComingSoon.net.